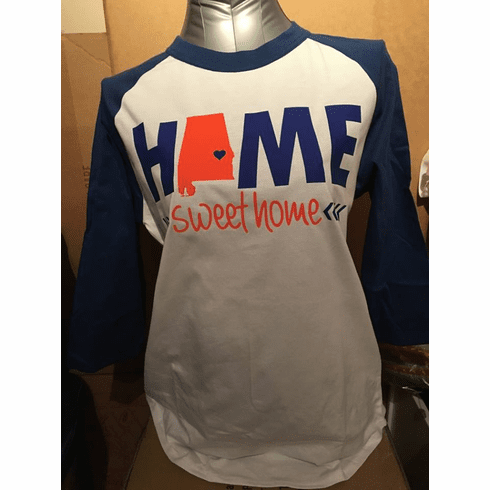 The Home Sweet Home Auburn Orange and Blue Shirt uses a heat press vinyl design on a Soft, classic knit jersey baseball style shirt. The shirt is 5.2-ounce, 100% ring spun combed cotton with a rib knit neck. The shirt features 3/4 raglan sleeves and covered hem.